D. R. Price Engineering & Land Surveying, Inc. PC (DRPE) is a multi-discipline, professional corporation licensed to provide professional civil engineering, structural engineering, mining engineering, and professional land surveying services. DRPE was formed 25 years ago by Mr. Danny R. Price, P. E, L.S. and Richard L. Bostic, L.S. Under their vision and professional guidance, DRPE has progressively grown from a small firm offering land surveying and small scale engineering to a company currently employing 35 individuals. We have a talented and diversified staff that is experienced and qualified to provide an extensive range of professional services, including structural engineering, mining engineering, civil site design, land surveying, underground mine surveying, construction surveying, construction inspection, and constructing management services for our clients. Danny R. Price served as president of DPRE from its inception until his illness and death in 2012. Mr. Price worked tirelessly to build the company with the goal of providing “quality engineering and surveying services for the client done right while providing a good place for our employees to work and provide a living for their families.” Richard L. Bostic succeeded Mr. Price as president and he and the three other principals of the company plan to continue DRPE with the same goals. The office of D. R. Price Engineering & Land Surveying, Inc., PC (DRPE) is located at 1541 Thompson Creek Road, Honaker, VA, in the heart of Southwest Virginia. Our location is near the coal and natural gas fields which have provided much of our work over the years. We are within easy driving distance to the Tri-Cities of TN, Roanoke, VA, Charleston, WV, Lexington, KY and Knoxville, TN. D. R. Price Engineering & Land Surveying, Inc., PC (DRPE) has two (2) licensed professional engineers and three (3) licensed certified land surveyors on staff. Additionally, we have one (1) individual who has passed the first part of the professional engineer exam requirement, and with another year of experience will be allowed to sit for the professional engineer licensing exam. Other key individuals in our company are highly trained and skilled by education and/or experience. We are dedicated to serving our clients ethically, responsively and professionally. This innate organizational philosophy has fostered numerous long-standing clients, some of whom we have been serving for over 25 years. D. R. Price Engineering & Land Surveying, Inc., PC (DRPE) is poised, capable and qualified to provide our clients a single source for a wide variety of professional design and land surveying services. We have the innate ability to evaluate our client’s land resources with specific goals from a potential mining operation to a commercial or residential development and provide the client with a product to fully meet their needs. 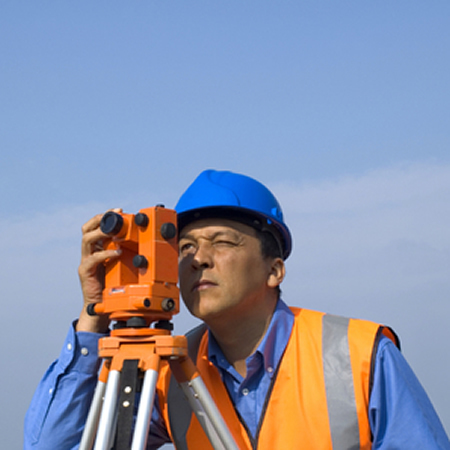 Our surveying capabilities include land surveying for boundary determination or subdivision to topographic surveys necessary for land planning and design for civil or mining uses. Our geologists can evaluate land for potential mineral resources, hydric wetland soils, and other soil properties for construction or percolation characteristics. We provide civil and mining engineering for land planning including site and drainage designs, roadway and building pads, and all required permits for protection of the environment. We have structural engineering capability to design structures such as bridges, buildings and foundations, elevated conveyors, and retaining walls utilizing varied construction materials from reinforced concrete, wood and timber, and structural steel. Our project managers and engineers have excellent backgrounds in the construction and mining industry to ensure the client’s project is designed and managed at the time the first stake is driven until final certifications of construction are provided to the regulatory authorities.